Yahoo has struck a deal with Google over search ads in a bid to boost revenues following the former's freshly announced lukewarm fiscal results for Q3. Yahoo's third quarter results saw the firm's GAAP revenue total $1.23 billion (£800 million). While that was up 7% year-on-year, the figure was slightly below analyst expectations and therefore disappointing news for investors. Mobile revenue reached $271 million (£175 million), and PC revenue totalled $844 million (£545 million), with Yahoo announcing that mobile revenue now represented 24% of its total traffic-driven revenue of $1.115 billion (£720 million). That's up from 20% in Q3 last year. So what of this Google deal then? 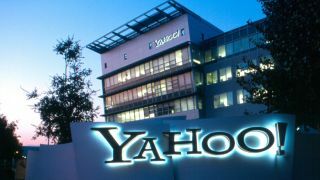 Well, Yahoo hopes to help its recovery pick up not just through its existing search agreement with Microsoft, but also with this fresh partnership with the big G.
The idea is simple enough – Google provides search ads to Yahoo on both mobile and desktop, and Yahoo takes a cut of the money made. Exactly how much of a percentage of the profits Yahoo gets wasn't detailed. In a press statement, Yahoo announced the deal saying: "In October, the Company reached an agreement with Google that provides Yahoo with additional flexibility to choose among suppliers of search results and ads. "Google's offerings complement the search services provided by Microsoft, which remains a strong partner, as well as Yahoo's own search technologies and ad products." So this shouldn't affect the deal with Redmond in any way. Ken Goldman, CFO of Yahoo, said of the overall results: "We are pleased with our financial flexibility and strong balance sheet, with a cash and marketable securities position of $6.8 billion at the end of Q3. "This quarter we've reduced spending in areas such as workforce, facilities and discretionary expenses, and in our ongoing efforts to control expenses, we'll continue to focus our headcount on growth initiatives."